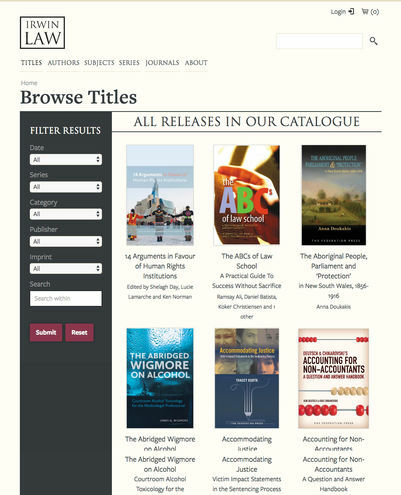 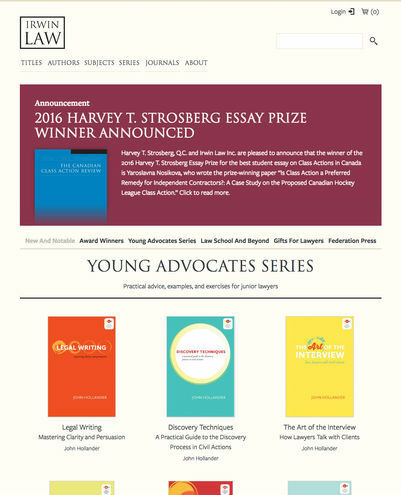 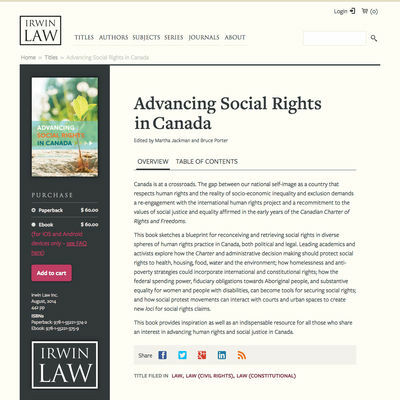 Irwin Law is a Canadian award winning law book publisher. 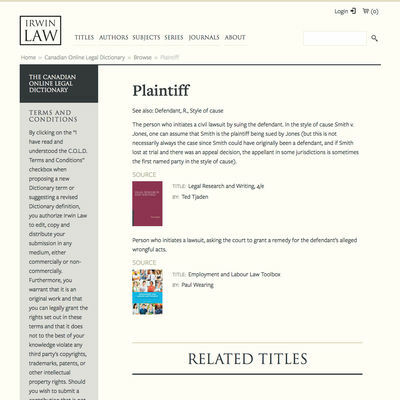 Their books do more than outline the current state of the law, but analyze the complex issues of the day in a succinct and readable style and in a manner that is probing and thoughtful. 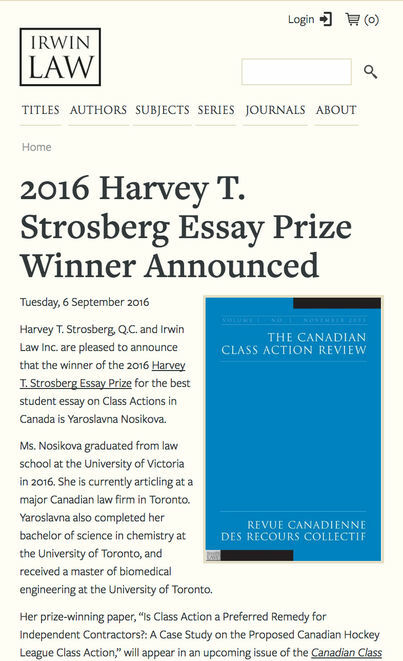 Their authors are among the leading law practitioners and professors in Canada and the world. 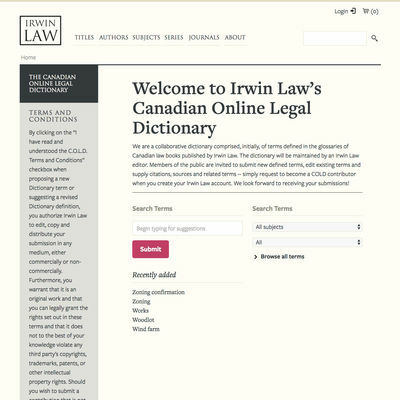 We worked closely with Irwin Law to layout and redesign their website, solving many unique visitor experience challenges for their content rich site and delivered a design that emphasizes integrity and usibility.